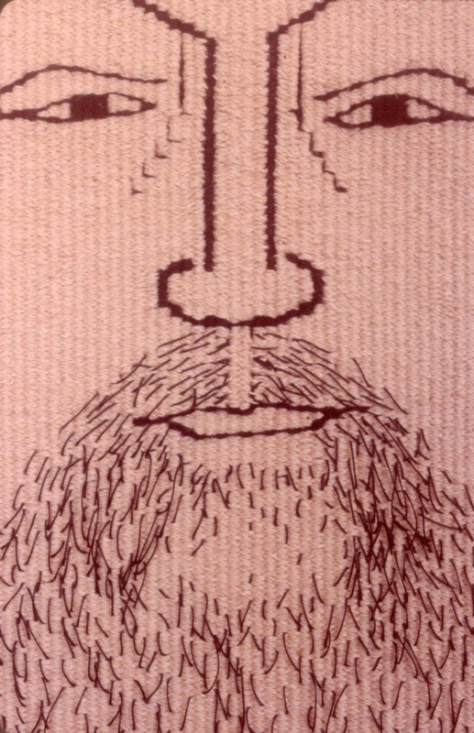 In the American Tapestry Biennial I my tapestry, “Cool Guys,” was the only framed example in the show. 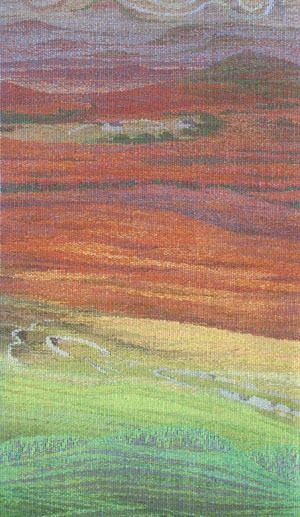 My decision to frame these tapestries was based on my initial reaction after the work was freed from the loom. The 12” x 36” horizontal orientation was problematic and I soon realized a different presentation strategy was necessary. After hanging the work on the wall in my studio, in the manner of large-scale tapestry, it was clear this was not an option for this trilogy. The aesthetic need for a clearly defined environment to physically support the tapestry and to establish spatial and physical boundaries seemed to be the logical solution. It was at this point that I decided the works must be framed. 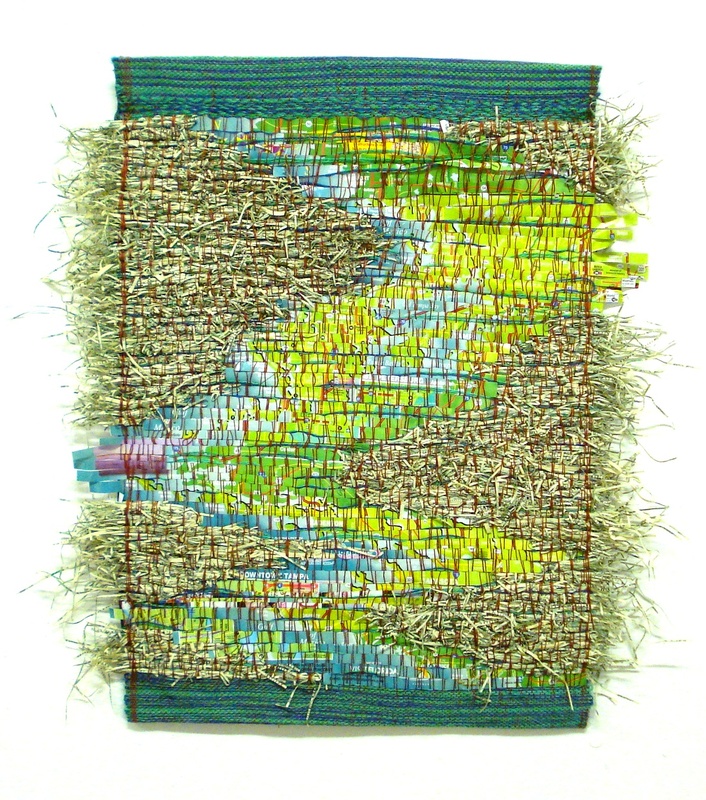 My primary objectives were to: support the textile in an archival environment; utilize reversible mounting techniques; create an appropriate space that could house the work without being obtrusive; and assist in easy on-site installation. I would like to clarify I do not believe this method to be appropriate for large-scale works which present a very different set of problems for display. 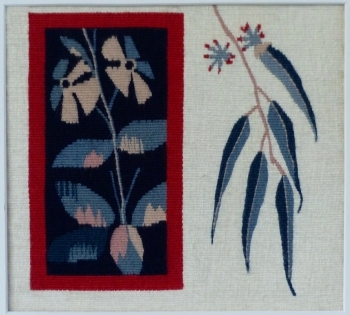 I find collectors are more open to adding tapestry to their collections if they are framed. The work is easier to install, the owner can easily move the work from one location to another. Another aspect for most collectors is the comfort in installing framed works since it does not require special installation skills or tools. Acid Free Foam Core (White or Black) – Tapestry size and weight will determine thickness. 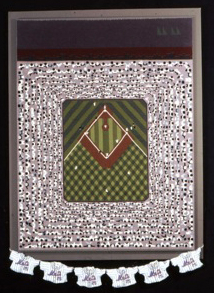 Low-Loft Polyester Batting – The size of the Foam Core. Bookbinding Awl – Helpful for those who cannot sew through the multiple layers. Framing Materials – molding, hanging device, etc. 1. The initial steps for finishing, securing the warp and weft threads, steaming, etc. 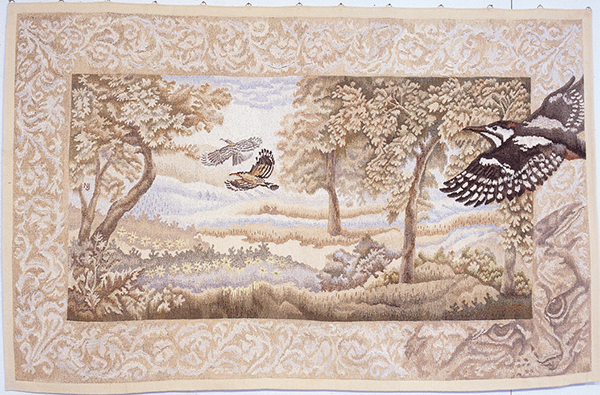 are the same as preparing any tapestry for display, however, you do not need the header, footer, strapping, or a dust panel. 2. Cut a panel of acid-free foam core or use a local frame shop to prepare this for you. The size of the board needs to be approximately 3/8” smaller than the finished size of the tapestry. Using a permanent marker, color the edges of the foam-core to match the mat board. Cover one side of the foam-core with a thin coat of the Jade Glue and attach the batting. Let the glue dry and trim the batting at a 45° angle along the edges. 3. 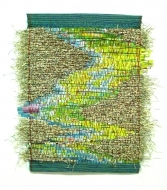 Sew the tapestry to the board package with the selected sewing thread (nylon or polyester). Pull the thread snug to hold the tapestry in place, but do not pull the thread too tight or it will reveal the sewing pattern as a series of indentations across the surface. This is especially true with the layer of batting. 4. My suggestion is to use a professional framer for the actual framing. They will be responsible for attaching the tapestry package to the mat, assembly and hanging devices. Always use a framer that understands the need for archival techniques and will not touch the tapestry without framers gloves in the process. Since I wrote the original article I have changed my stance on using glass. Unless the work is going in a public setting or a location where interior factors could damage the work. The primary problem with glass is shipping for exhibition/shows, especially traveling shows. Rickie R. Wesbrooks, "Cool Guys" 12" x 35.5"